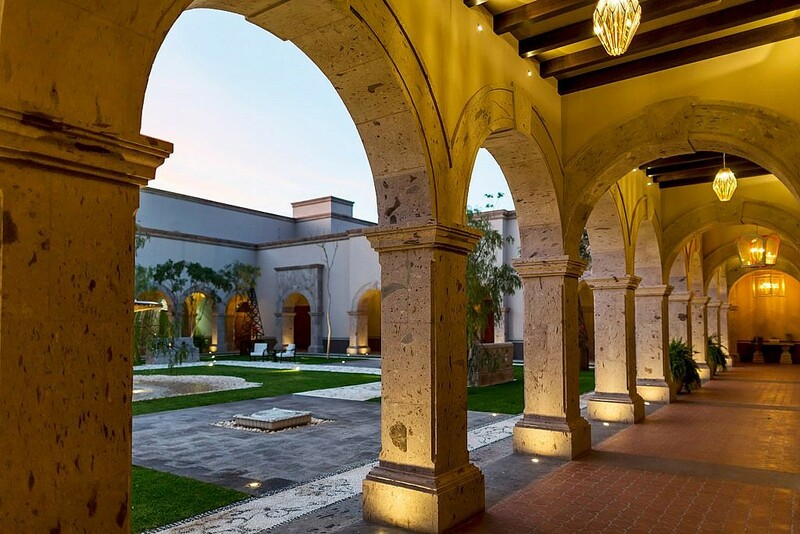 The home for Patrón tequila is a beautiful Hacienda in the Highlands of Jalisco, the premier tequila-producing region of Mexico. 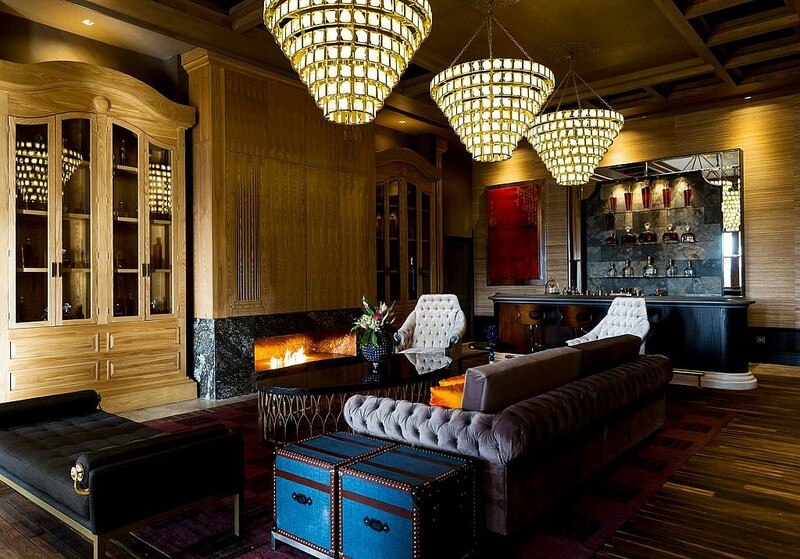 The property, recognized across the globe for its commitment to sustainability and world-class hospitality. 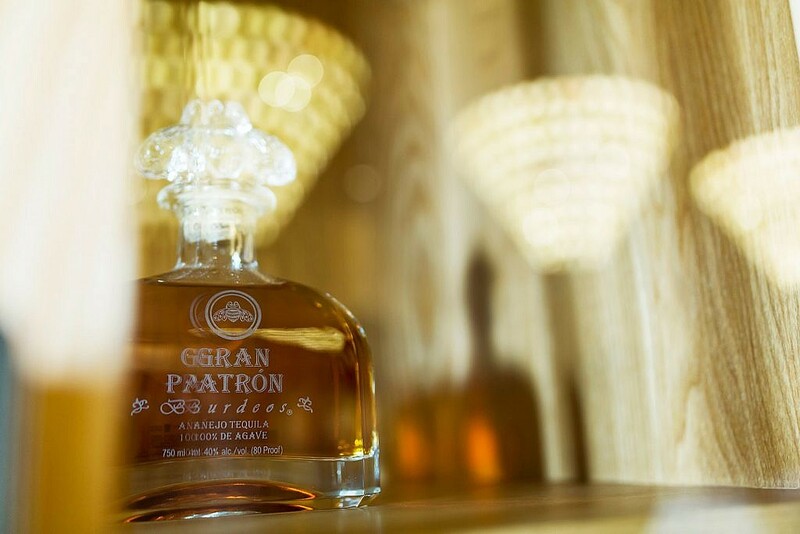 Everything about Patrón is unique. Patrón Weber Blue Agaves, for example, are hand-harvested, cut and cooked, employing traditional techniques instead of modern technology – a process steeped in tradition and produced with steadfast dedication. A commitment to crafting small batch tequila with zero interest in producing volume, Patrón chooses to replace machines with people, instead of the other way around, as part of their social responsibility. Handcrafted, hand labeled, and hand corked, the creation of these magnificent tequilas are truly a hands-on job as each bottle touches roughly 60 pairs of hands between the agave selection, cooking, crushing, fermentation, distillation, blending, aging and bottling. environmental areas, and a few gardens. In true farm-to-table style, all food served at the Hacienda is grown on the compound, and last but not least is an elaborate (by invitation only) 20-room guesthouse for those lucky enough to be asked to visit by the brand, an invite harder to score then courtside seats to a Lakers game. 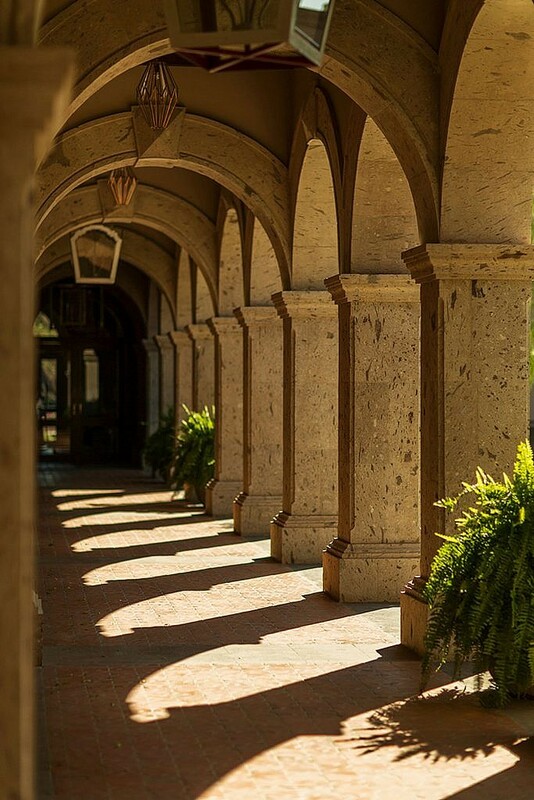 “We call our home ‘Hacienda Patrón’ because just as chateaus are to wineries, our Hacienda is truly the heart and soul of our brand,” says Ed Brown, president and CEO of Patrón Spirits International. 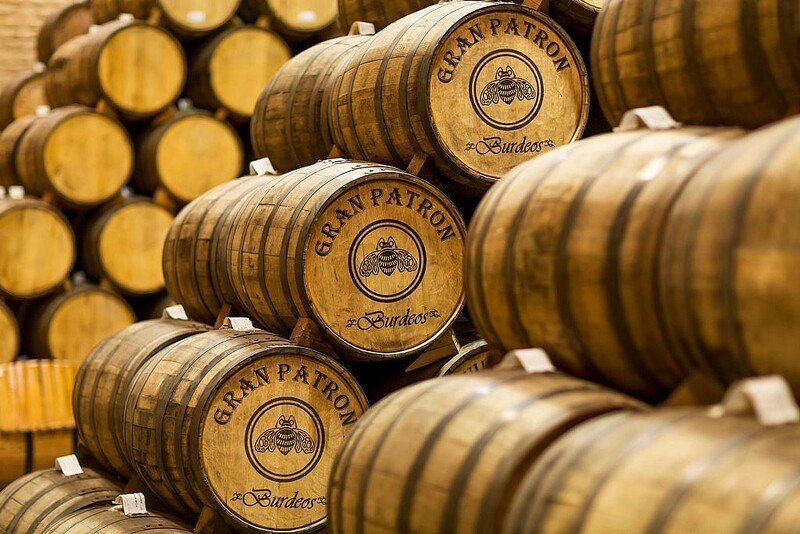 The main distillery building at Hacienda Patrón houses much more than tequila production. 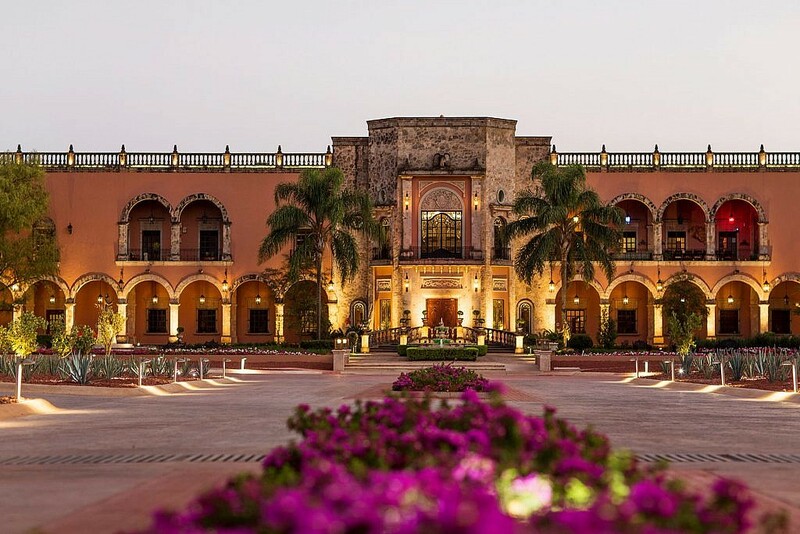 The Spanish Colonial-style hacienda building includes a luxury living cottage, kitchen and dining rooms, an English style solid mahogany bar, and an auditorium. Also inside is a chapel devoted to the Virgin of Guadalupe, located right in the middle of the main building so the company’s employees can start and end their day in traditional worship. 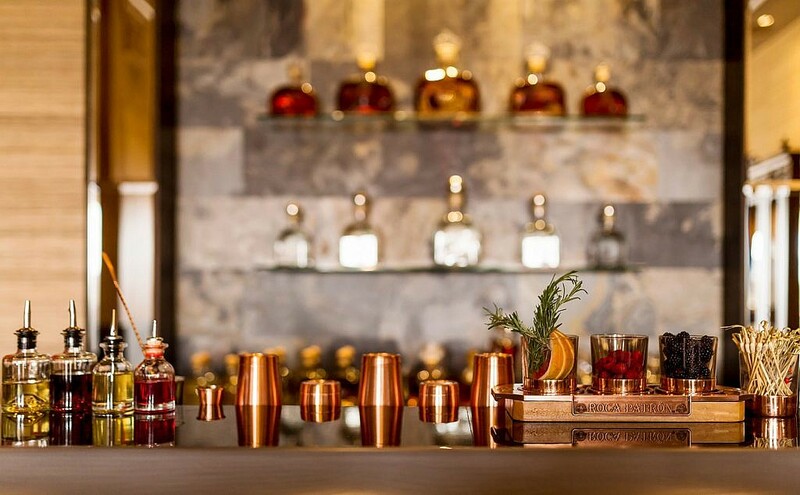 “We built and furnished Hacienda Patrón in traditional style, as a unique and special place where our visitors and employees would feel welcome, a place truly befitting the world’s highest-quality, handmade tequila,” added Brown. tall inside a beautiful domed ceiling made from brick. 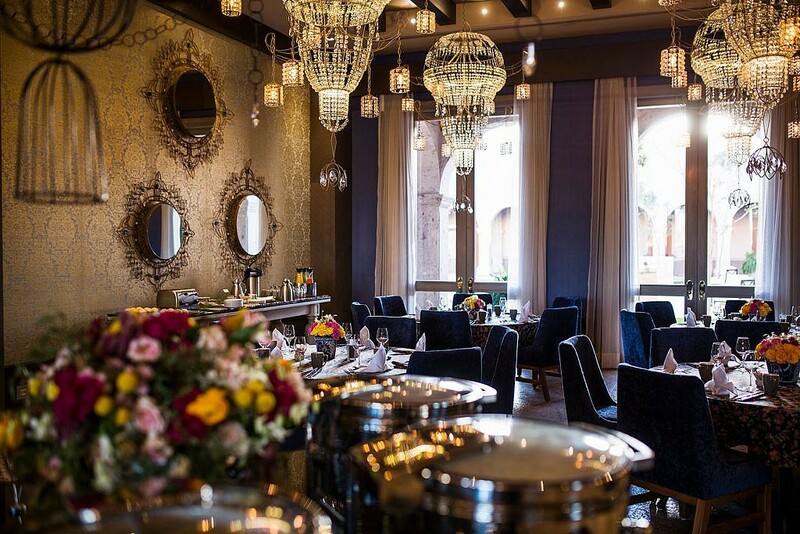 The entryway, highlighted by a wrought iron chandelier custom designed in Tlaquepaque, is an opulent creation with old-world charm, and the French, Italian, Indian, English and Mexican-style furnishings and décor throughout the building are pieces carefully collected from around the world. From hand-harvesting the highest-quality 100% Weber Blue Agaves, to the traditional, time-honored distillation process and individual labeling, numbering, and inspection of each bottle, Patrón tequila is crafted with meticulous precision and care, truly a breath of fresh air in today’s world of fast cash and mass production. And isn’t it nice to know that a label which has grown to become one of the most-recognized and respected luxury spirit brands in the world, is still exclusively produced in the same small batches with its founding commitment to quality and craftsmanship. Now, if only they needed an extra tequila taster.